The main issues facing the Vatican and the SSPX are doctrinal in nature, so it makes sense to have the principal organ for dialogue with the SSPX directly under the purview of the curial dicastery responsible for doctrine. Pope Francis issued a pair of Apostolic Letters given motu proprio on Saturday. One motu proprio suppressed the Pontifical Commission Ecclesia Dei and entrusted its responsibilities to a newly created “Special Section” of the Congregation for the Doctrine of the Faith. The other put the Sistine Chapel Choir directly under the Office for Liturgical Celebrations — essentially ending the fifteen hundred-year tradition of the Choir as an autonomous institution. The motu proprio suppressing Ecclesia Dei garnered most of the headlines on Saturday, owing in large part to the concern of Catholics who love the Church’s traditional forms of worship. Pope St. John Paul II established the Pontifical Commission Ecclesia Dei in 1988, in order to help traditional Catholic groups and institutes remain in full communion with Rome after Archbishop Marcel Lefebvre illicitly ordained four bishops, incurring a latae sententiae excommunication and creating a canonically irregular situation for his Priestly Fraternity of St. Pius X – the SSPX – which has not been fully resolved more than 30 years later. Over the past decade, both Pope Benedict XVI and Pope Francis have made great strides with SSPX leadership toward resolving the canonical situation and restoring perfect communion. In any case, the rapprochement between Rome and the SSPX has been not only liturgical and doctrinal, but also disciplinary and juridical. In 2015, CDF made then-Superior General of the SSPX, Bishop Bernard Fellay, the presiding judge in the canonical trial of an SSPX priest accused of gross misconduct. “Pope Francis’ decision is part of a process already begun by Pope Emeritus Benedict XVI,” Tornielli wrote in his editorial. Short version: the move makes good sense, traditionalists’ concerns notwithstanding. The “other” motu proprio got fewer headlines, but effected a major change in the structure and governance of a Vatican institution that has stood for a millennium and a half: the Sistine Chapel Choir. The Choirmaster, Fr. Massimo Palombella SDB, and the Choir’s Administrative Director, Mr. Michelangelo Nardella, have spent much of the past year under investigation for possible fraud, embezzlement, and money-laundering.There have also been reports of complaints from parents of some of the boys of the Choir, alleging Palombella has been too harsh a disciplinarian. Those allegations are reported to have been under investigation, as well. Mr. Nardella is reportedly suspended. Fr. Palombella remains choirmaster, though he is stripped of most of his discretionary authority. The Sistine Choir has always enjoyed autonomy within its sphere. Rarely has it been subject to any real oversight. With the new motu proprio, that appears to have changed. 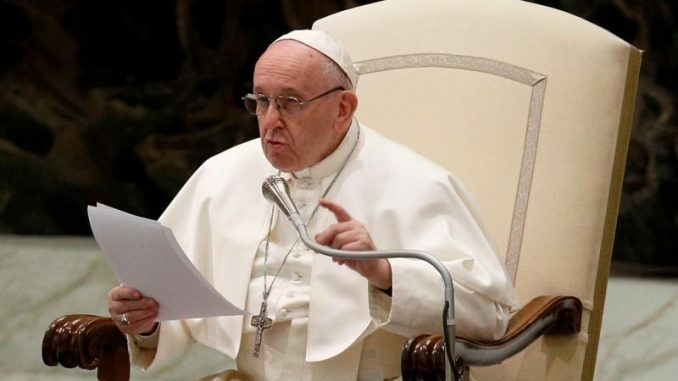 With Saturday’s motu proprio, Pope Francis has moved the Choir out of the Prefecture of the Pontifical Household, and into the Office of Liturgical Celebrations. In the motu proprio’s preamble, Pope Francis explains his decision in terms of the teaching of the II Vatican Council regarding the sacred liturgy. On the surface, the move makes sense. The Choir is a liturgical instrument. Nevertheless, there was a reason The Sistine Chapel Choir has always been nominally under the purview of the Prefecture of the Papal Household or the Prefecture’s predecessor offices. Papal liturgies have never been just any other act of ordinary public worship. Papal liturgies were, until the reforms of Pope St. Paul VI, visibly an act and expression of his household — a function of the Papal court. The former secretary to the now-defunct Pontifical Commission Ecclesia Dei, Archbishop Guido Pozzo, is named Superintendent for the Economy of the Sistine Chapel Choir. Pozzo is, in essence, the Treasurer of the Choir. The new arrangement does not appear to be cosmetic. The choirmaster will have to go to Pozzo for money: to justify his requests and report his expenditures to the Treasurer. Meanwhile, Italy’s dailies say a reckoning could be imminent. In a world where rumors concerning bad things in the Church have turned to truth with alarming regularity, I remain worried. There was a rumor circulating that Francis was going to move against the traditional mass if Benedict died. It’s no secret that the Latin and ad orientem masses appeal strongly to many – and those that like the old service, don’t have much love for Francis. And Francis is vindictive. I worry. The writer seems to confuse the SSPX (Society of St. Pius X founded by Archbishop Lefevb) with the FSSP (Fraternity of St Peter, a traditional group in union with Rome) by using the abbreviation “FSSPX” ? . I assume he intended to use “SSPX” in that paragraph. Please correct and clarify. Mr. Altieri is quoting from this January 19th Vatican News editorial. “FSSPX” is used often to refer to the Society of Saint Pius X, including by the Society itself. It could al be useful and appropriate. 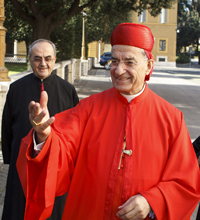 Yet, if and when Msgr Marini is replaced, the governance of the the choir could shift in quite another direction. Likewise, the de-emphasis upon Ecclesia Dei could be the basis of additional limitations upon the liturgical reforms of Pope Benedict upon his death. Isn’t the moving the Choir out of the Prefecture of the Papal Household a clear confirmation of the rumours that the Pope intends for the Prefecture itself to be suppressed? Msgr Ganschwein, who reportedly had asked to be sent back to Germany after the abdication of Pope Benedict, was assigned to this post which greatly under-employs his talents. If he were now confined to the sole position of Secretary to the Pope Emeritus, it would seem that Pope Francis’s mission to clean up the Curia will have been exercised almost exclusively in direction of clearing out the circle of the Pope Emeritus himself.